Imagine that you are part of the current studying generation. With all the hard effort you are eager to start your professional life soon. You are common to use Facebook, Twitter, Foursquare, Evernote and other fancy 'apps' to fulfill your needs. Apps with a great user experience - all designed with you as a consumer of the app as a starting point. And then … you start your first day at the office - you get a welcome, a cup of coffee and your own desk with a desktop running SAP with its famous blue screens … Guess you can see the contrast of IT solutions (apps) that you got used to while in college and the IT solution (SAP) that your company is using. Why this huge contrast? Well we all know that on the topic of user experience there is enough to improve in the SAP world. 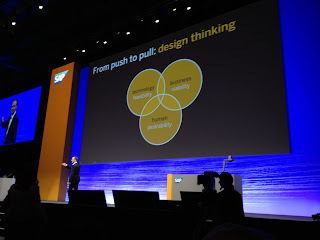 That's why SAP is spreading the word around Design Thinking these days. And that is a good thing! Balance Business viability, Human desirability and Technical feasibility to respond to business changes faster and offer friendlier user interface to its users. To do so, things have to be do done differently, a lot. With DesignThinking you will start the other way around, take the real business case and the people that are actually going to use your solution as a starting point. That is different as we are quite used to start with a data model, a transaction, a screen (or Dynpro in SAP-slang) or some other technical stuff. 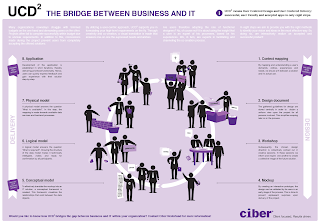 At Ciber we totally agree on taking the end-user seriously - he/she is the real customer and by that it is very important to work with a user centered approach. So yes we are enthusiastic on the topic of Design Thinking and SAP's adoption to it. 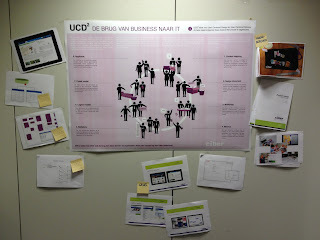 But it doesn't stop with designing - as an IT consultancy firm we also like to deliver ;-) And there comes the second part - User Centered Delivery. Add those two together and you have UCD2. 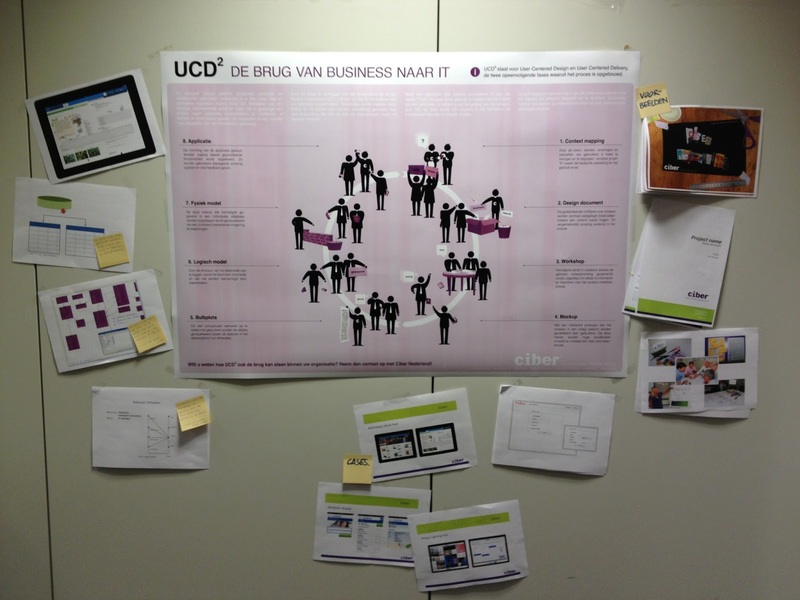 Margreet Klerkx, user experience designer at Ciber, created this great overview on UCD2. To really understand as-is, to-be and the end-users wishes. Combine results from context mapping into a design document to get a uniform view. 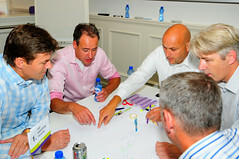 In a workshop all participants collaborate and inspire each other on the future solution. A mock up or clickable demo, helps understanding the future solution. Click through to experience the look and feel and prevent unpleasant surprises upon delivery. 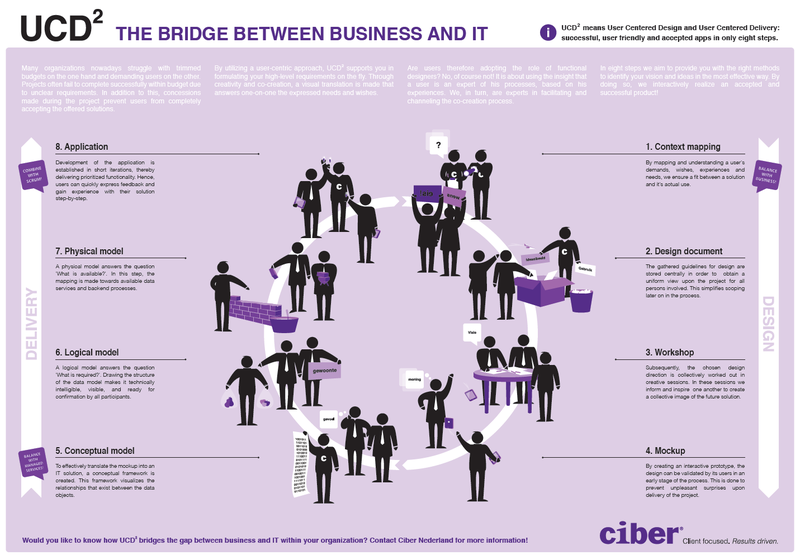 First step in delivery is translate the mockup is to create a conceptual model to visualize the relationships of business objects. With a logical model you define what is actually required. 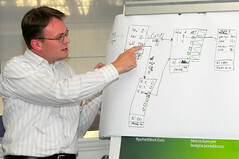 Now plot the existing or new solution building blocks on your model. What systems do you have in place and how is functionality exposed? And the fun begins, deliver the actual application, either a mobile solution or a BI dashboard. And see how the involvement of the end-users works out. Again do this highly interactive with multiple feedback moments, scrum is a project approach that fits like a glove in this step. With UCD2 we want to emphasize the importance of involving the end-user and to focus on a business process instead of a product. With collaboration, co-creation and creativity you will be able to deliver solutions that are really required and accepted. What more can you wish for?